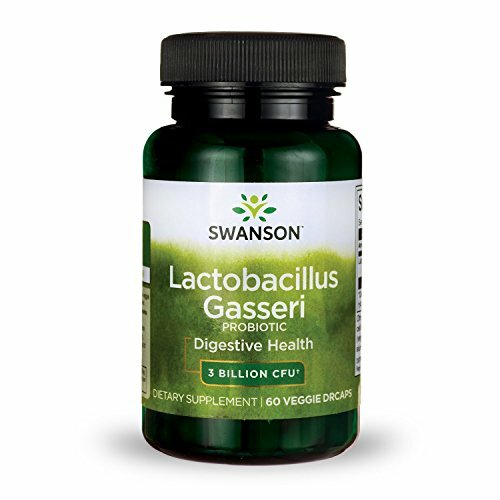 Lactobacillus Gasseri was named in the scientific circles "the fitness probiotic". Its capability to help our body regulate levels of leptin, makes it unique and a valued ally in our fight to stay fit. Leptin is a hormone that has a critical function in fat storage and energy metabolism. Leptin is "the satiety hormone" as it helps us control the sensations of hunger and fullness, and acts as a brake on appetite while boosting metabolism. A problem with many people who diet to lose weight is that the levels of leptin decline during the diet, slowing down metabolism in order to conserve energy. It our body’s natural reaction of self-preservation. Because of this, many dieters struggle to retain their fitness gains over longer periods of time, the infamous yo-yo effect. This is why Lactobacillus gasseri can be a tremendous help for any weight loss regimen. 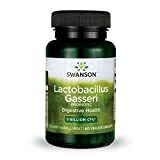 Lactobacillus Gasseri from Swanson contains 60 veggie capsules with 3 billion CFU per capsule. The microorganisms are packed in DRcaps by Capsugel, which are resistant to the stomach acid, and they are designed to release in the intestine, where your body needs the probiotics. Regular capsule release the probiotics in the stomach, exposing the microorganisms to stomach acid, which destroys them. The capsules are also certified vegan, Halal, and Kosher. All about Lactobacillus gasseri probiotic. Read about scientific research, health benefits, food sources, where to buy it, and side effects. Learn about various strains of L. gasseri, and what application they have in the real life. A comprehensive document with links scientific research.